Andrew has around 30 years of investment and development experience spanning both commercial and residential property both in a personal capacity and as a trained Chartered Surveyor. He joined the Royal Institute of Chartered Surveyors (RICS) in 1988 and has worked for prestigious firms such as BNP Paribas Real Estate, GVAGrimleys and Severn Trent PLC in a variety of roles, with responsibility for developing and project managing over c£150m worth of property. Andrew Roberts founder of Great Property Meet, has been investing in property since 2005. Andrew is a true entrepreneur and has a passion for putting together deals. Andrew has a number of property and non property businesses and a background in Tax and Accounting and also worked at a senior level in Banking and a top 20 law firm. Andy is a leading Business Coach, Speaker & Author who has coached 100’s of Business Owners & corporate Directors to greater profitability, more free time and successful relationships across their business and personal lives. He has addressed audiences such as the Institute of Directors and international audiences throughout Europe and as far afield as New Zealand. Arsh Ellahi is currently the director of a highly successful group of property companies operating in and around the Midlands. His ‘can do’ attitude along with his bold approach to property has made him somewhat of a rare bread within his field. Daniel is the managing director of Pulse Property Network (PPN). In recent years Daniel has trained thousands of UK property investors and entrepreneurs the lessons he’s learned in launching 13 different businesses that range from small one and two man lifestyle businesses up to local and national multi-million pound organisations. Francis Dolley during 2010 built a portfolio of ten 2/3 bedroom houses, and one 6 bed multi let student property. He now has a portfolio of 18 owned and controlled properties generating an income of almost £10k net pcm. We are continuing to grow the Multi Let business and are using some of the profits to purchase large Victorian town houses which we convert into fully licensed all en-suite high end HMO’s that also give capital growth. Gary is a philosopher of motivation and success who uses the power of humour to get his message across. He shares common-sense, obvious principles that work for anyone, in any business, at any time, and does it through simple examples, understandable, easy-to-implement ideas. He believes that most of us have complicated our lives way too much, and we take it way too seriously and that we need to lighten up, take responsibility, be more flexible and keep it all in perspective. Jim began property investing in 1991 letting rooms to students. At the time he was a College Lecturer lecturing in Law. His tenants were students who all came from the College where Jim worked. He immediately discovered that by renting out individual rooms to his student tenants this would generate between 3 and 5 times more rental income as opposed to letting the house out on a Single Let basis. “Joe & Jane Harling of ConvertingProperty.com take underused and unloved properties, both commercial and residential and convert them into places people want to buy, rent, live and work in. It’s definitely not just offices to flats! John has 30+ years of experience with creative finance as it applies to real estate. He also has properties from Hawaii to Bradford. He has experience of property transactions in 4 countries and a portfolio that extends across 11 time zones. Jon Lloyd has been working with Behaviour Profiling for over 20 years, and he says it revolutionised his approach to rapport building and communication instantly. He will be sharing some of his experience, and explaining how being more conscious of other people can yield extraordinary results. Over the past 15-years Julian has successfully completed 100’s of projects large and small. Specialising in working with property investors, Julian has also completed projects for hotel groups, letting agents and numerous domestic clients as well as producing stunning show-home interiors for major UK home builders. Guy Bartlett is an award winning marketer, a self taught entrepreneur and serial acquirer of businesses. He’s advised many of the UK’s top retailers including Sainsbury’s, JD Sports and Iceland Food, set up multi-million £ businesses from scratch and been at the sharp end of technological developments in various industries. Guy has also featured as a business adviser on BBC 2 and he has appeared as an investor on TV in “The Money Pit” hosted by Jason Manford, a crowd funding version The Dragon’s Den. 2016 rocked the property market. The Changes were like nothing investors and developers had seen before. The Tax Changes. The Finance Changes. The Legislation Changes. To name just a few. So how are these changes going to affect you in 2017? If you know that the property market can deliver a substantial income, but you think you need a big stash of cash – then you’ll learn something that will make a dramatic difference. If you’ve already started to build a property portfolio, but you’re finding it a slow process – you could buy multiple properties, faster, using less cash and speed things up – a lot! If you think the only ways to invest in property are cash purchase or a mortgage – you’re missing out on the third way where you can buy like a cash buyer, with all the advantages that gives you – without having huge cash reserves. Lee has been investing and managing serviced accommodation for the past 17 years. He will share with you the 5 key steps to running a successful low operating cost high margin serviced accommodation business. This energetic presentation will give you a better understanding to this latest popular strategy. Linda Wright is a planning consultant and owner of PLANiTWRiGHT — an independent town planning consultancy and development service. Linda has enjoyed a successful 30-year career in planning in both the public and private sectors — during which she has seen, and dealt with, a wide variety of planning problems. Her common sense approach, and insight into the town and country planning system is invaluable. Mark Bruckshaw and Helen Partridge operate Inspire Property Management specialists in leasehold management advising on all aspects of leasehold property. Mark has a legal background around Housing Law. Mark has been in property since 2002 when he bought my first investment property. In 2007 after successfully building up his portfolio and after doing up a couple of houses and selling on (flips), he joined Simon Zutshi’s Mastermind program 1. Since then he has continued to keep at the forefront of property with networking events, as well as attending many property courses and meetings around the country. He continues to buy below market value (BMV) properties where he can and add value for his clients. Property Investment Trader, Motivational Speaker, Author and Mentor Following an early career in the Armed Forces, Mark began his journey as a property investor by buying a ‘doer-upper’in the mid 1990’s.At the same time, Mark was working in the corporate world as a Sales Manager with NTL (which later became Virgin Media). In early 2000, his career in property trading started in Spain, Cyprus, South Africa and then the UK. Paul started his business career after leaving University. He had his year placement at Marks & Spencer's within their internal department where he took a shine to Recruitment. After becoming one of his companies Top Billers he took matters into his own hands and started his own Recruitment Business with a fearless attitude that would constantly show through his career. Peter Hogan, a serial entrepreneur and businessman, is celebrating his 32nd year in property investment. He bought his first BTL in Jersey March 1986 for £24,000 with OPM – a strategy he stumbled upon – and other properties followed. That first property sold 18 months later for £96,000 – a £72,000 capital gain! Peter was first introduced into the world of Property Investing whilst working at Addison’s Estate Agents in London, where through dealing with investors he learnt different strategies, how to structure a deal & how to find motivated vendors. In 2015 he jumped ship and joined the team of seasoned investors at Great Properties. Ranjan Bhattacharya is a seasoned property investor and developer. Over the last 25 years Ranjan has built an extensive portfolio of residential and commercial property in London. Ranjan is also senior partner in Fab Lets, a North London based lettings and property Management Company. Ranjan authored the ‘Build Your Property Empire – Now Is The Time’ property investment home study course. Which was first published in 2005, and sold over 13,000 copies. René Deceuninck, Master in Body Language, Motivational Speaker, Coach and Trainer, runs an exclusive international company. Since 1995, René has been delivering enriching insights and results-oriented outcomes to his clients. His seminars, keynotes and trainings around the world are changing businesses with amazing levels of positive increase. Richard Bowser is the editor of Property Investor News™ magazine and over the last decade has regularly spelt out to investors the inherent risk of speculative investment strategies based on low yields and excessively high loan to value borrowing. Richard is co-founder of Property Developers Academy and has been involved in property development, planning, architectural design & construction for 39 years. Property Developers Academy was created to provide education and support to all property developers and those wanting to understand what is involved and is the UK’s leading provider for education, training & support in propertydevelopment. Richard Shepherd along with Hanif Khan and Shimon Rudich created the he most advanced, in-depth resource you can find on Property Options in the world! A Highly respected authority on leases and how to use them ethically. Richard Shepherd built a property portfolio of over 50 properties in a couple of years to become financially free. Richard owns a lettings agency and sources properties for other investors. Since 1991, Rick Otton has invested in property. As an internationally recognised property investor and mentor, his focus is showing investors how to create cash, build passive income and leverage with bank free strategies. He is director of We Buy Houses business that operates in Australia and the UK. Saj Hussain is a property entrepreneur and also known as the Property Joint Venture Expert. Since 2007 he has built a multi-million pound property portfolio with more than 150 tenants. He uses his time, his skill and experience to find great investment opportunities and partners up with cash rich investors to create a fantastic return on investment. Sharon Bailey is a Property Insurance Expert, she will be sharing with us her property take on Insurance and how to get the right kind of cover you need to protect your asset on the budget you can afford! If you’re serious about beating the taxman then this is an event you must not miss! We expect this to be a sell out event so book early to avoid disappointment. Don’t pay a penny more tax than you have too! For over a Decade Simon has been helping people just like you become financially independent through property investing so that you can choose how you spend your time. When it comes to systemising your property business, it’s hard to beat Susannah Cole. Susannah is a leading light in property investing circles and owns a huge property portfolio that’s growing week by week. Tim Matcham started investing in property when he discovered that his pension wasn’t going to provide for him in quite the way he hoped. He has a small portfolio and has done a number of joint ventures. He has raised around £2.5 million in the last few years and now coaches and mentors aspiring property investors in how to attract armchair investors. He continues to invest in his own projects and is continually looking for investors to work with on a variety of projects. Vanish Patel started his journey towards financial independence in the summer of 2001 when he became a business angel and full-time property investor. 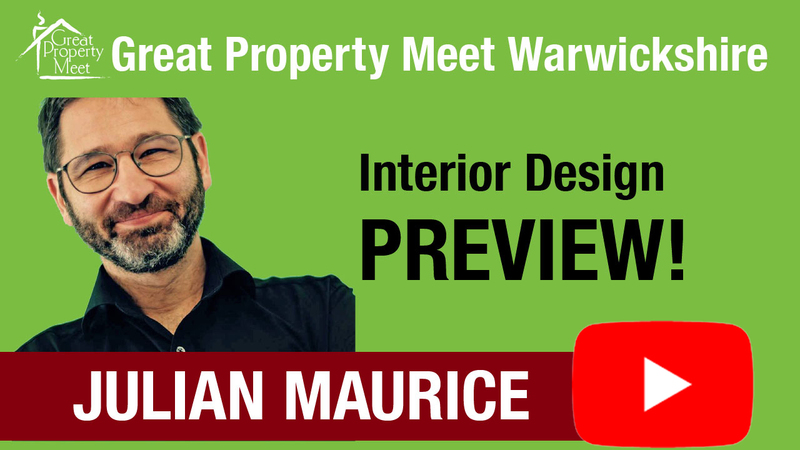 Today he is considered to be one of the Top 10 Property Experts in the UK.